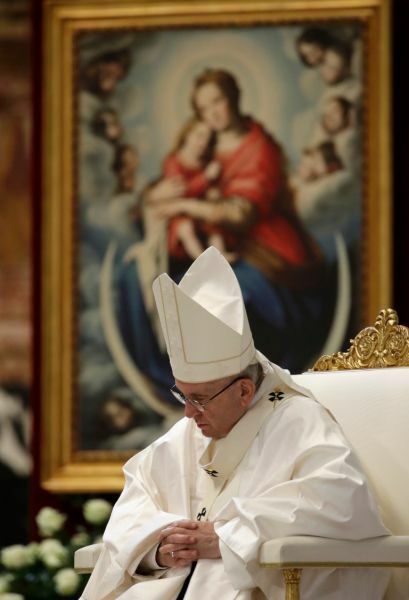 (AP) — Pope Francis called Tuesday for unity in the Catholic Church and blamed its divisions on the devil. It was the second time in as many days that Francis has warned about the destructive work of the devil after making headlines recently by seeming to deny the existence of hell. Francis made the comments during a Mass he celebrated along with 550 “missionaries of mercy,” the army of priests he formed during his 2015-2016 Jubilee of Mercy to highlight the sacrament of reconciliation around the globe. Francis has been accused by some conservatives of dividing the church with his mercy-over-morals priorities. But he has held firm, stressing that God’s mercy is infinite and holding up as examples some of the great, forgiving priests he has known in his lifetime. On Tuesday, in an earlier audience with the “mercy missionaries,” Francis recalled one confessor who was famous in Buenos Aires for his mercy, the Rev. Aristi, who died some two decades ago at the age of 94. Francis recalled that when he went to pray at Aristi’s open casket, he snatched the cross from the rosary the dead man clutched in his hands, as a keepsake of sorts, despite the biblical commandment not to steal. “I’ve carried that cross with me from that moment on, and I ask him the grace to be merciful,” he said.